This week is a wonderful culinary trip to discover the most famous recipes of the Italian cuisine. During this course you will learn and taste delicious, handmade Pasta alla Bolognese, Pizza and many other vegetarian and simple dishes that you will be able to reproduce at home. Suggestions to visit different local producers (Parmigiano Reggiano, Mountain Grappa, Organic Jam; Balsamic Vinegar, Typical Cheese and local Wines Producers …). Lunch. Welcome to Borgo Pianello. Your holiday starts now! Take your time to relax and enjoy a real Italian Lunch. Cooking Class. Head into the kitchen of the Borgo with Chef Stefania for your first hands-on cooking class. Work alongside Stefania to prepare some of the most popular Bologna’s dishes: HANDMADE PASTA : TAGLIATELLE, RAGÚ ALLA BOLOGNESE SAUCE , TORTELLONI AND FIOR DI LATTE. Aperitif & Lunch (appetizer, first course, main course, dessert and wine tasting included). Cooking Class. Work alongside Stefania to prepare some innovative green dishes: BRUSCHETTA TOSCANA, CANTUCCINI COOKIES and much more. Cooking Class: PIZZA DAY. 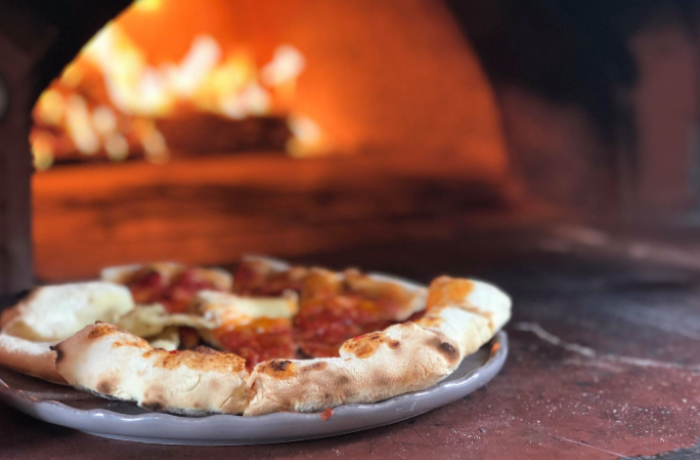 You will discover the perfect ingredients to prepare a real Italian pizza and you will cook your own pizza in a firewood oven. Aperitif, Lunch and Wine Tasting included. Free Day. Visit of Art Cities & Local Producers, or Trekking/Biking on the Apennines, or Relax in the swimming pool. Free Day. Visit of Art Cities & Local Producers, orTrekking/Biking on the Apennine, or Relax in the swimming pool).